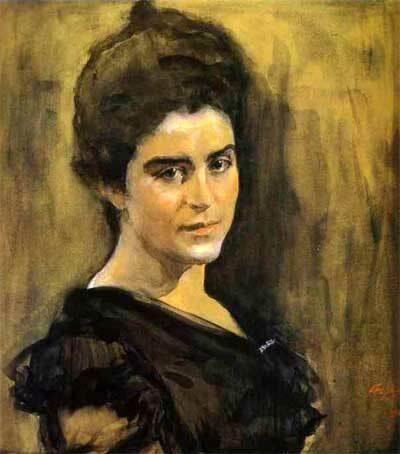 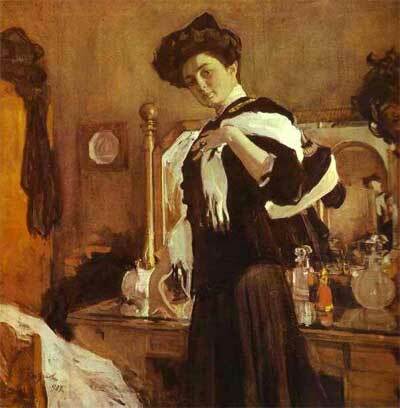 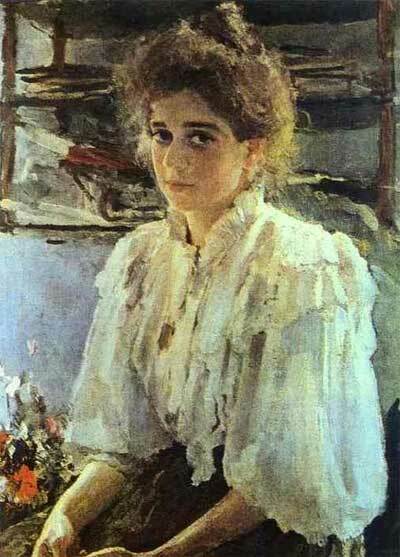 One of the greatest Russian portrait painters, Serov was born on January 19, 1865, in the family of the composer A.N.Serov, author of the operas Judith, Rogneda, and the Evil Power. 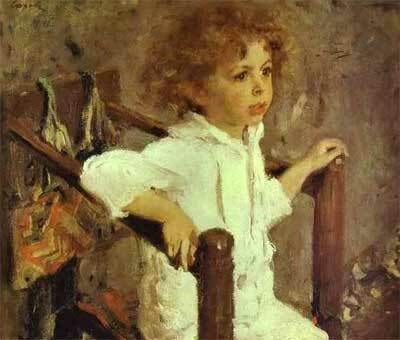 As a young boy, Serov might have met many luminaries of Russian culture of the time - Stasov, Repin, Ghe, Antokolsky - who visited his father. 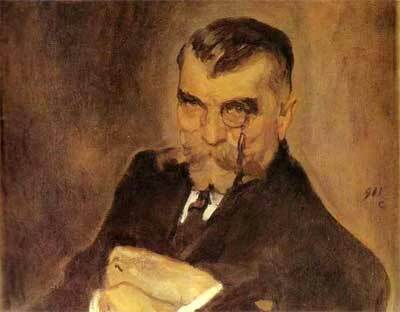 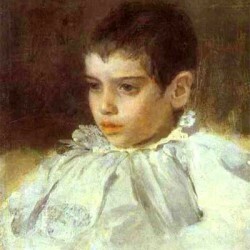 Unfortunately, when he was six, his father died, and Serov traveled with his widowed mother to Munich and later to Paris. 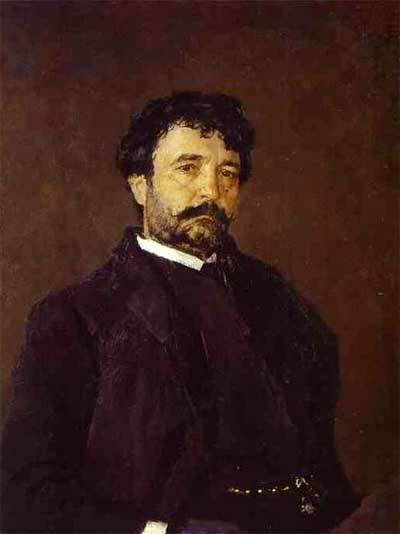 In Paris, he attracted Repin's attention and started his art education under the master's tutelage. 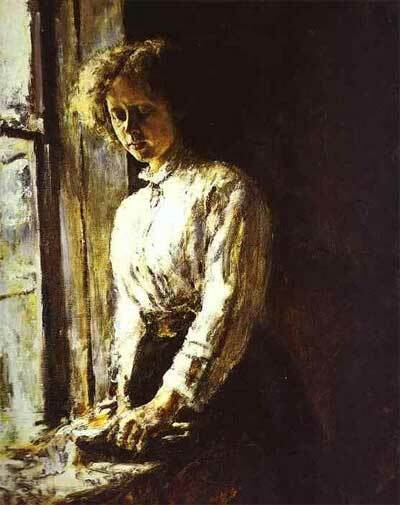 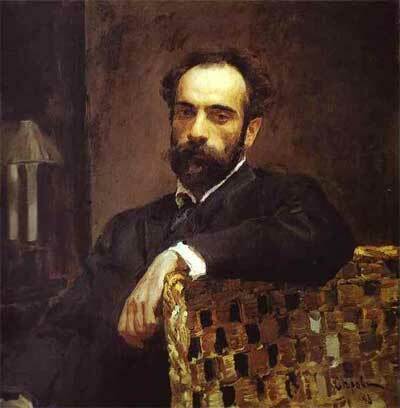 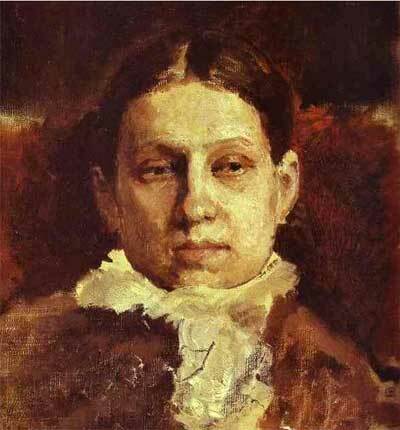 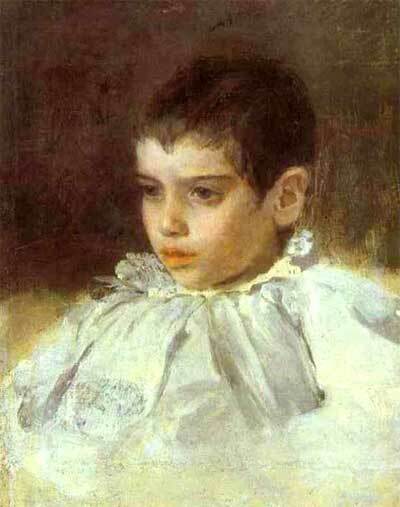 Impressed by the talent of the boy, Repin advised him to return to St.Petersburg and begin formal studies at the Academy of Fine Arts under the famous art teacher P.Chistiakov. Savva Mamontov invited financially destitute Serovs to live at his estate at Abramtsevo. 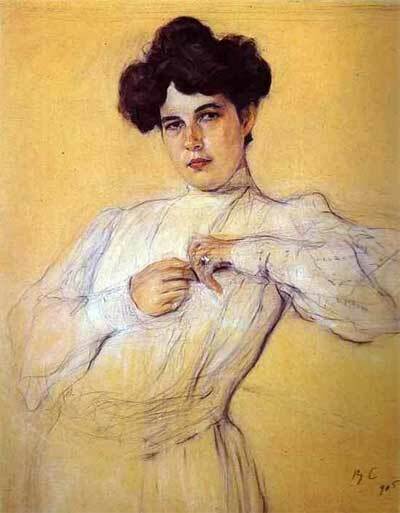 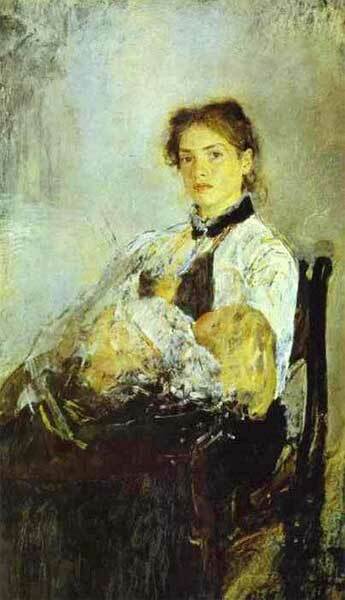 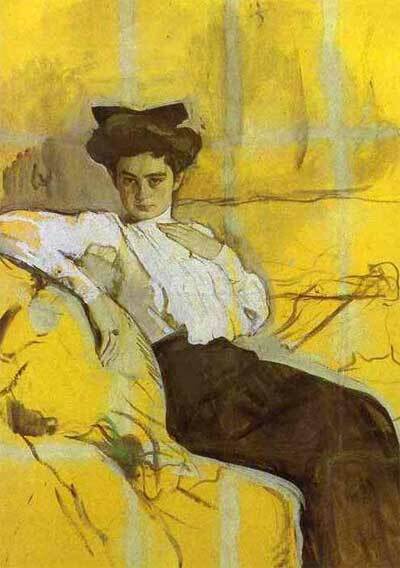 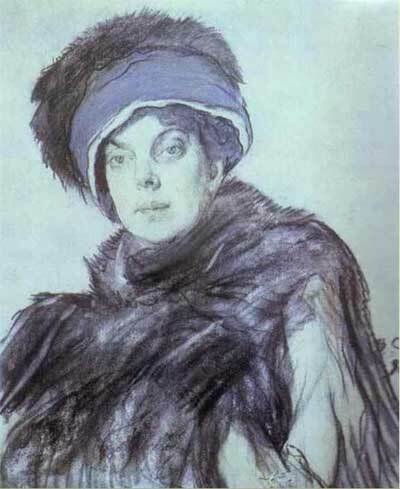 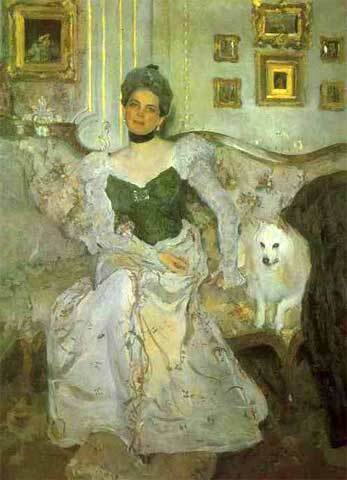 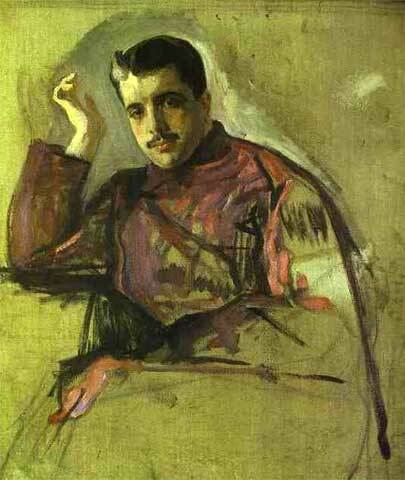 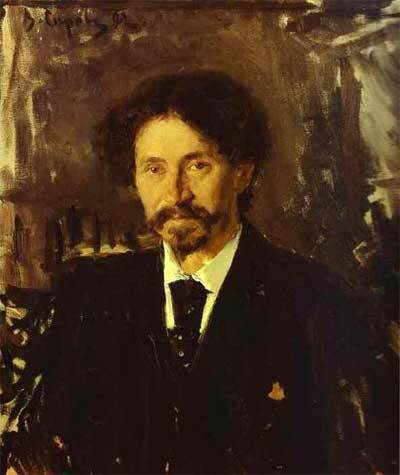 Serov studied at the Academy from 1880 to 1885 and met Mikhail Vrubel there; the painters even shared an atelier. 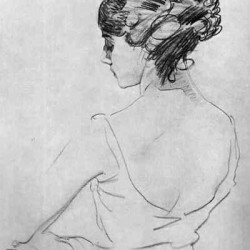 Even though the artist did not finish the Academy, he sufficiently perfected his skills to begin independent work. 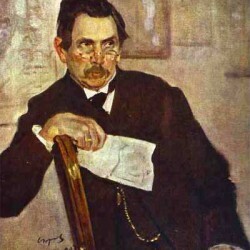 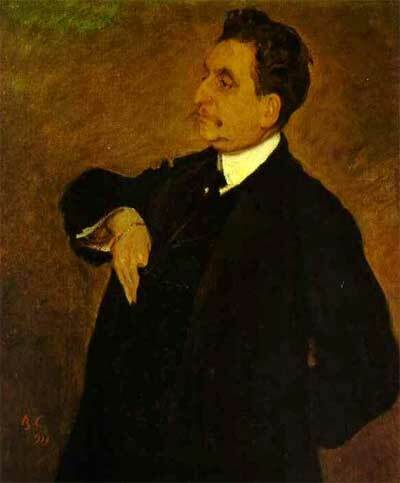 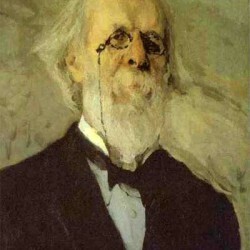 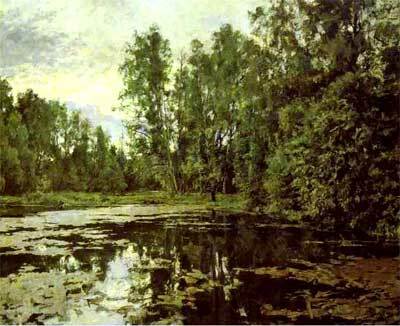 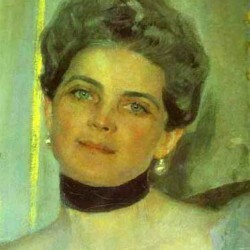 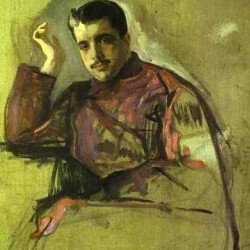 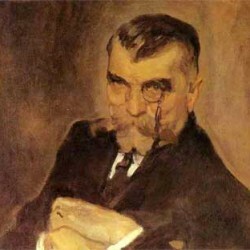 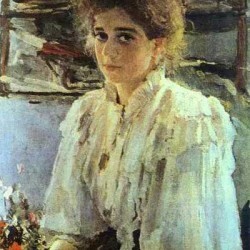 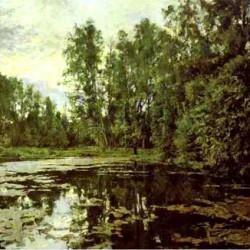 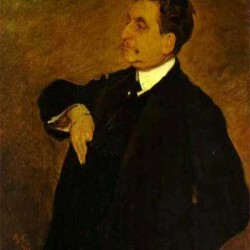 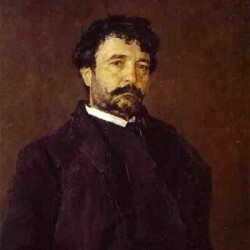 He became famous after exhibiting Girl with Peaches (1887) and Girl Lit by the Sun (1888), both considered to be among the greatest masterpieces of the Tretiyakov Gallery. 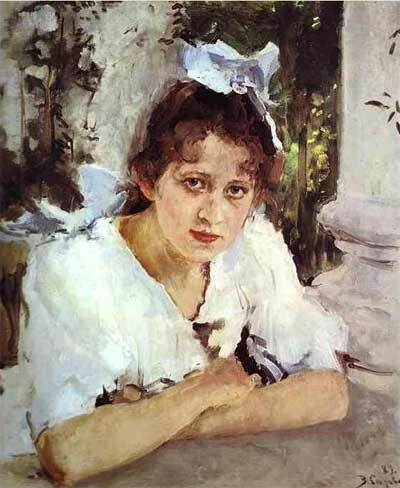 The first canvas, a portrait of Savva Mamontov's daughter, Vera, brings to mind sunny and cheerful portraits by Renoir, but is probably more inspired by the colors of Repin's paintings, particularly They Did not Expect Him. 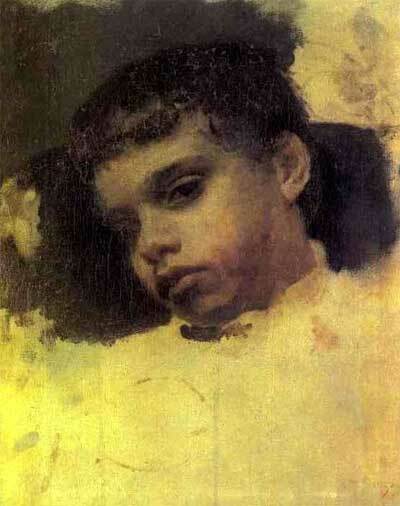 In its colors and juxtaposition of light and shadow, the second canvas is also strongly influenced by Repin's works. 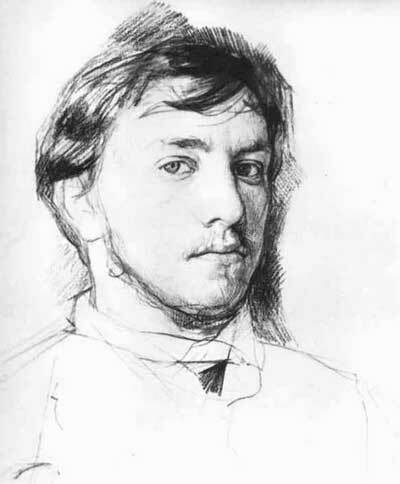 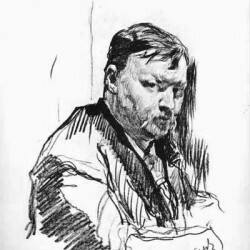 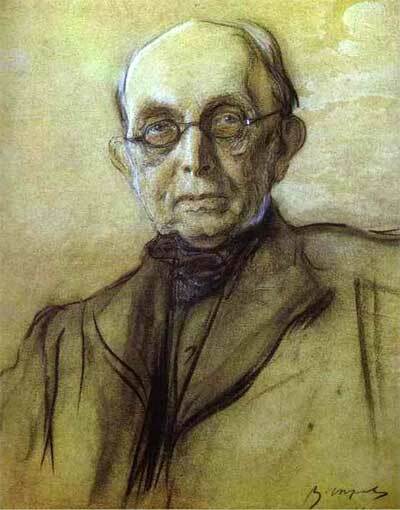 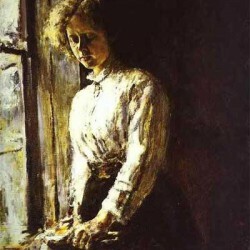 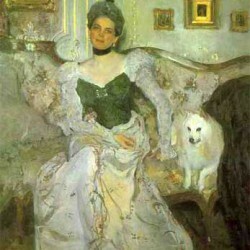 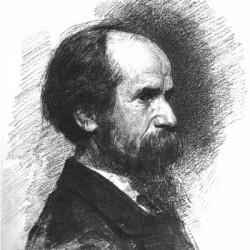 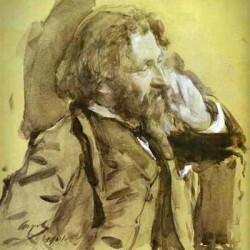 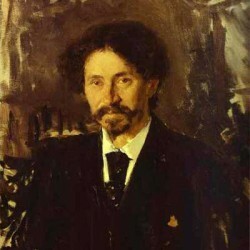 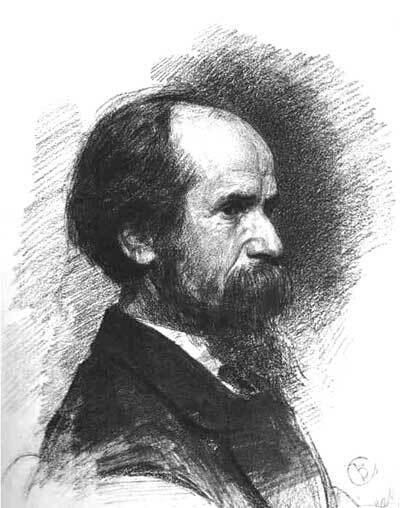 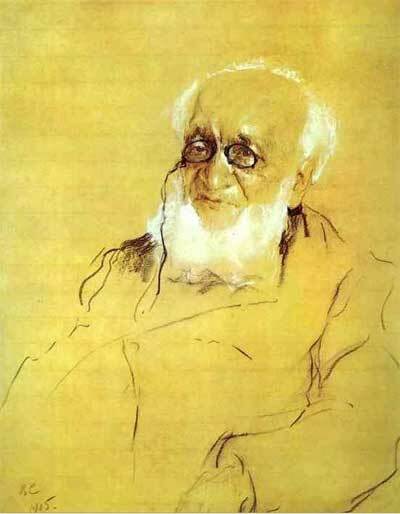 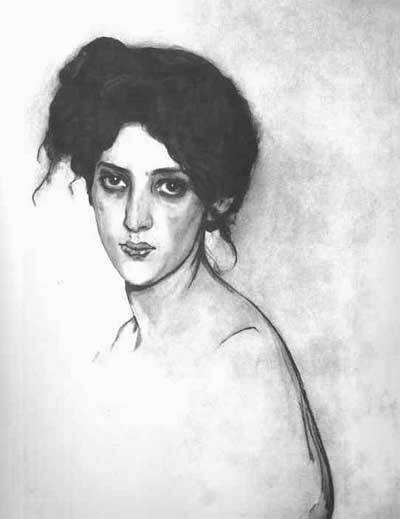 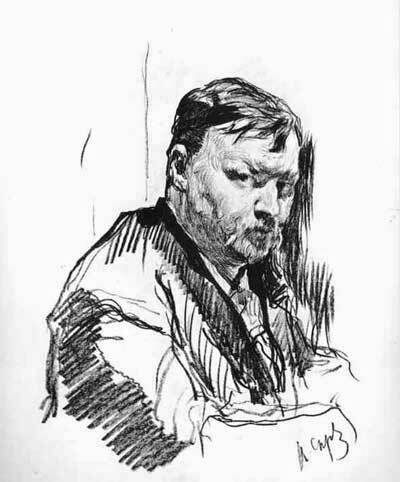 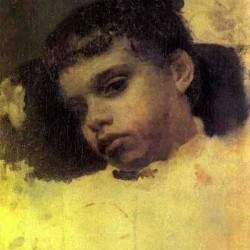 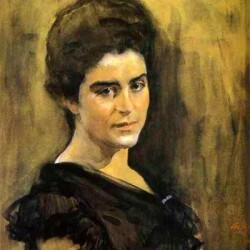 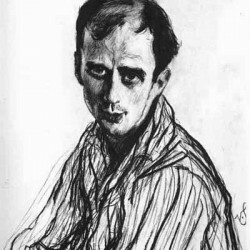 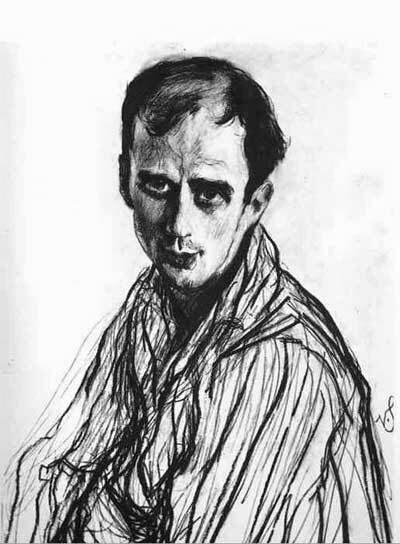 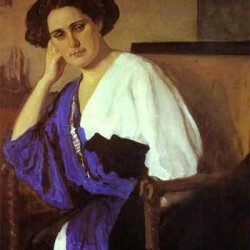 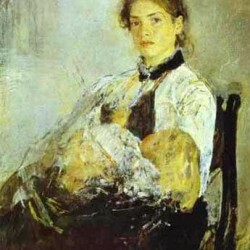 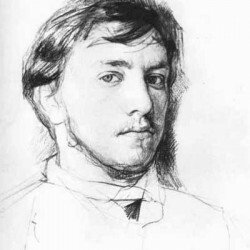 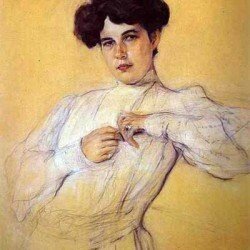 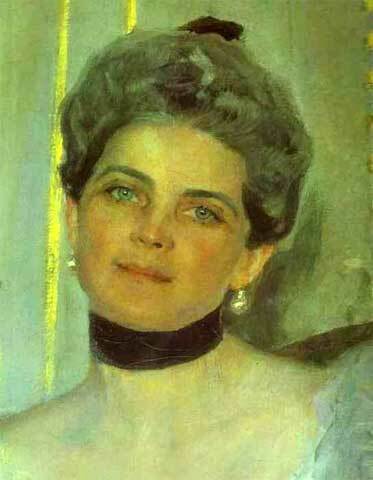 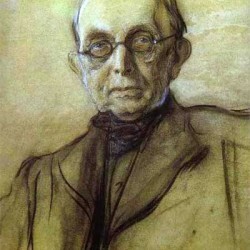 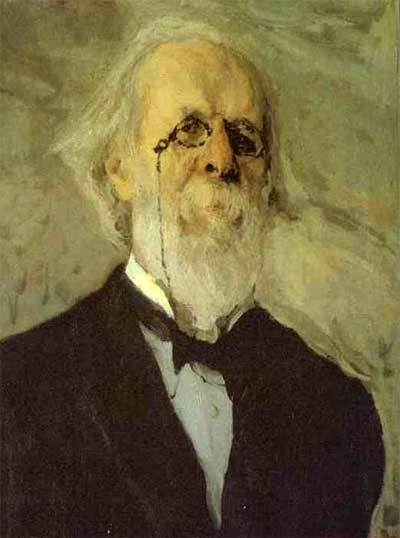 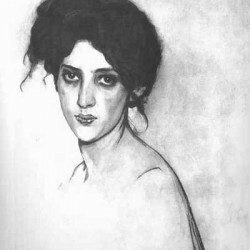 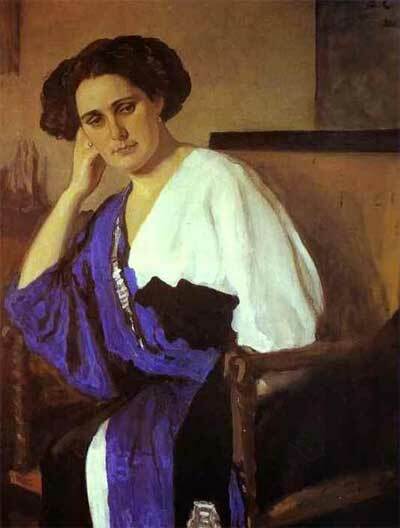 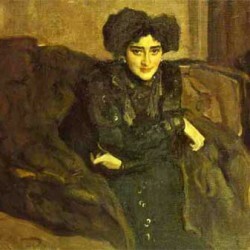 Initially a strong follower of the Wanderers and a supporter of the idea of utilitarian purpose of art, in 1890s Serov, following the example of his mentor, Repin, disagreed with the Wanderers' "dictatorship" and imposition of standards on the young artists and left the Society; instead, he became close to the World of Art group, which allowed him to exhibit his paintings without interruptions even though he never subscribed to all points of the group's program. 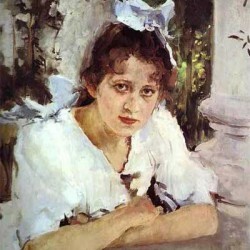 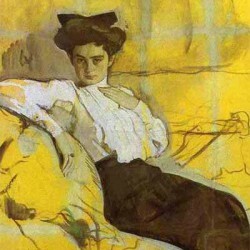 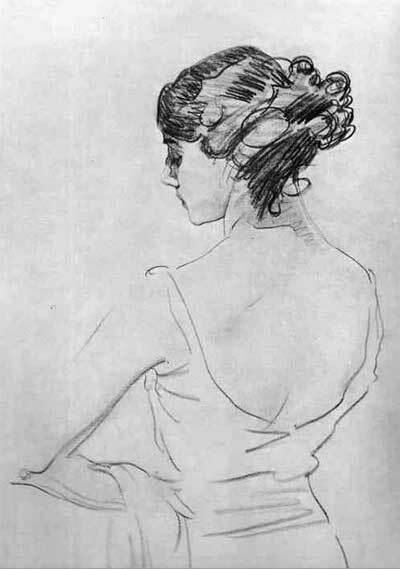 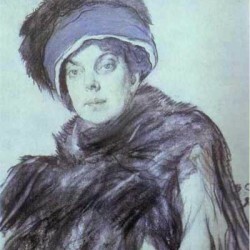 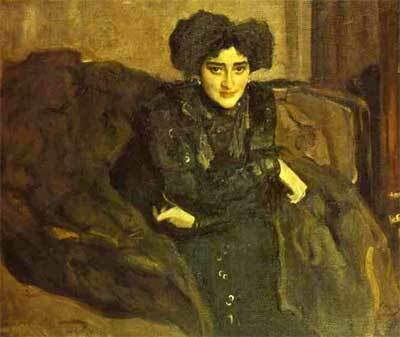 Popularity which Serov gained after showing his first two acclaimed portraits made him an artist in great demand. 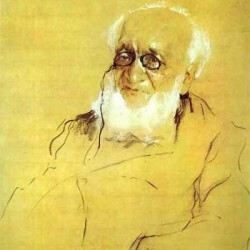 He painted almost 700 canvasses, including portraits of famous art maecenases, artists, actors and actresses, writers and poets, composers and singers, and politicians. 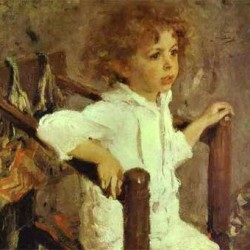 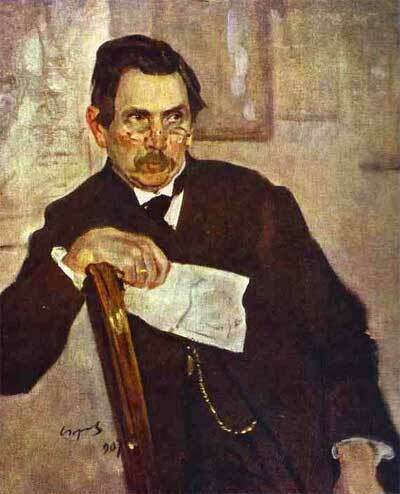 Not surprisingly, the names of his sitters read as a who-is-who in Russian culture and politics of the late nineteenth and early twentieth century: Savva Mamontov (1890), Konstantin Korovin (1891), Iliya Repin (1892), Isaak Levitan (1893), Nikolai Leskov (1894), Nikolai Rimskii-Korsakov (1898), Emperor Nicholas II (1900), Konstantin Pobedonostsev (1902), Anton Chekhov (1903), Sergei Witte (1904), Fiodor Shaliapin (1905), Konstantin Balmont (1905), Maksim Gorkii (1905), M.I.Ermolova (1905), Vasily Golitsyn (1906), E.L.Nobel (1909), Ivan Morozov (1910), O.K.Orlova.